Born in 1925, Speechley joined Westland Aircrafts Ltd. as a technician apprentice towards the end of World War II. His potential was quickly recognized by the company and he was sent to the Cranfield College of Aeronautics. By the time he returned to Yeovil, Westland was committed to the design and development of helicopters. Speechley rapidly developed through several engineering positions to take up a senior design post working on the Westminster helicopter. In 1960, the whole aviation industry was "rationalized" with the result that Westland having absorbed Bristol, Fairey and Saunders-Roe, became Britain's sole helicopter company. After a period in sales (including hovercraft), Speechley rejoined he Engineering Department, as Chief Development Engineer, progressing to the post of Chief Designer, a positon he held up to and during the initial phases of Lynx program. 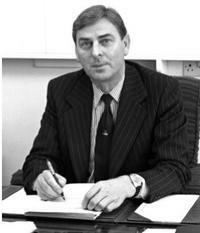 By 1972, he was Deputy Managing Director and became Managing Director in 1975, the first Westland Apprentice to hold the Company's top position; he was also awarded the Order of the British Empire (OBE) during that year. And when Westland was awarded the prestigious McRobert Award in 1975 for design and development of the Lynx rotor and transmission, Speechley was one of the five named recipients. Speechley had a broad knowledge of helicopter design and development coupled with hands on knowledge of Sales. He worked tirelessly to sell the Lynx and other Westland Helicopters throughout the Europe, the Middle East, India and Pakistan. Westland won a large order of Lynx helicopters with Egypt, but this failed to be consummated when the US gave helicopters to Egypt as part of the Camp David's Accords; he was also in the process of negotiating other large contracts in the Middle East at that time. After leaving Westland in 1980 he moved to Australia, where he continued to work as a consultant. Speechley was the fellow of Royal Aeronautical Society and the Royal Academy of Engineering. John Speechley died on January 22, 2012 in Melbourne, Australia. He was 87.